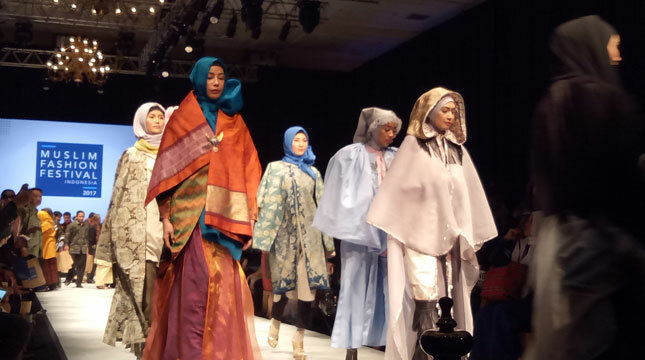 INDUSTRY.co.id - Medan - President Joko Widodo has signaled for a large family of alumni of the Islamic Students Association about the opportunities of the hijab fashion industry. When the 10th anniversary of the Alumni Corps of the Muslim Students Association (KAHMI) in Medan on Friday (17/11/2017) the President said the government is paying attention in developing the creative economy industry. One of the creative economy industries in the country is the most powerful and great potential in the field of fashion hijab. "The business is very promising," he said. According to the President, as the country with the largest Muslim population in the world, the hijab fashion market in Indonesia is very promising. But if the products have superior quality, the potential market is not only for the country, but it can be an export commodity. To get good quality and attractive to the world of Islamic fashion in other countries, the hijab industry players need to work on it well. If judged to have seriousness and able to run the fashion industry hijab well, the government will support its development. "We can also slightly 'inject' to grow well so that the national creative industry can grow," said President.